I guess it will on the pursuit channel at some point. That will be neat. I have to agree with BilletHead. Keep the little ones and leave those big, tough, nasty tasting, smelly, slimy big one alone. Thanks, Mhyde, for sharing. Not only do they have a good line up of speakers they have some great items in the silent auction that usually go for way under retail prices. They have Lews and Shimano reals, TFO rods, several tackle packs all the pro speakers will donate tackle packs, Engle cooler, and some chili. It's at the Willard Jr High come on out. I plan on going. I had to take advantage of the nice weather and headed back up yesterday afternoon for some more fishing. I launched at Cedar Ridge at 11:00 and started fishing the insides of points in that area. It didn't take long I caught a couple at my first stop on a jerkbait. I headed to my next spot and same thing I caught 2 on the jerkbait. I noticed that all the fish I was catching were farther back in the pockets a ways from the points and in a little shallower water. I put down the jerkbait and picked up a wart. I pulled in a little closed to the bank and fished my way back out to the point. I caught 3 more on the wart on my second pass. I went to the next spot and did the same thing. Caught 2 right on the bank with the wart and another a little deeper with the jerkbait. I was kind of caught in the middle of do I fish the bank with the wart or do I pull out and fish the jerkbait. I choose the jerkbait mainly to try out my new Lews jerkbait special rod. I was really impressed with how it fit for my style jerkbait fishing. 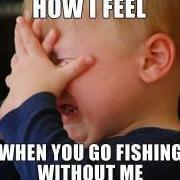 When fish jerkbait and most topwaters I hold the rod in my right hand and reel with the left. When I fish that way I hold the rod behind the reel on the handle. Short pistol style handle is great for that style and at 6'7" it is short enough that I don't hit the water with my rod tip when working the bait. I am not a tall man. I ended up with 19 yesterday with only 7 keepers. They had moved a little further back in the pockets I would find them 50 to 100 yards from the point towards the back of the pockets. The sunny side seemed to be better. Merry Christmas everyone and tight lines. I talked my wife into going out a few hours yesterday. We launched around 11:00 at State Park and fished around that area on the little sac. It was pretty slow going for the first couple hours the water was slick and wasn't much biting. We finally started catching a few when the lightest of breeze started later in the afternoon. We fished mostly main lake points and just inside the point leading into the coves. The inside of the points seemed to be the best. It was pretty slow for the most part we ended up with 14 total 9 keepers. All but 1 was caught on a jerkbait natural shad color. 1 shorts was caught on a rock crawler. I haven't been on Stockton much this fall so I was in search mode most of the time. They are bunched up so when you catch one you will usually catch more. It was a beautiful day for mid December a little more breeze and I think we would have caught more. Yes, its a team tourney. I am sure you could fish alone if you wanted. First tournament the October 14th Stockton State Park . 7am to 3pm. $60 entry fee includes big bass. 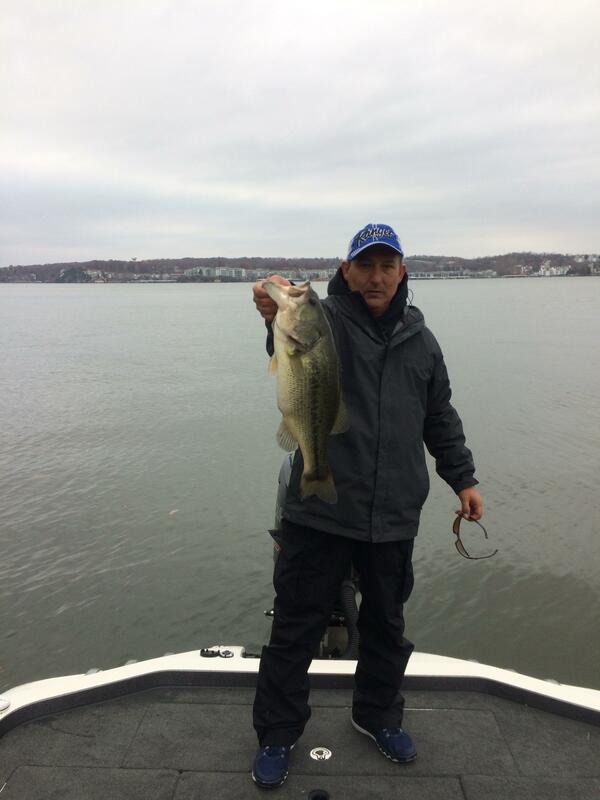 Payout is one in five and two big bass. No membership. Entry $10 goes toward insurance etc. $10 goes toward big bass. $40 goes toward total payout. Good Luck hope to see ya there! Anybody fishing Sunday? I haven't ever fished this series but might give it a go Sunday. We were camped at Cedar Ridge for a few days arrived the 27th to the 30th. 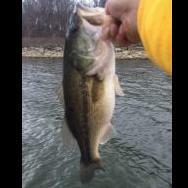 The bass fishing was good when we had some clouds and slow with the bright sun. Thursday was slow all day the bites were few and very small. Friday started the same way we fished all the way to the back of Maze and only had 6 fish with 1 keeper. We headed in around 11:30 for a bite to eat and the clouds started rolling in and the wind switched to the north. We headed back out about 2:30 still cloudy and windy. The bite was on. I stared by hooking a good one on a plopper. Fought it for 30 yards and got it up to the boat she was tired and rolled on her side. Me being not so bright decided to boat flip her and off she went. She was better that 6. Oh well at least some thing is biting. We cought them pretty good all afternoon on blades and the plopper. 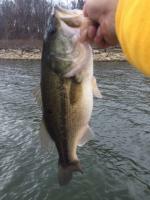 The plopper doesn't work well on the real windy areas but the spinnerbait will shine in those areas. We had at least a dozen keepers big about 3.5 and several in the 13 to 14 range. Saturday morning back to blue bird skies. The bite was fair for the first couple hours and then slowed down. I did go back to the big girls house about 6 pm Saturday evening. Threw my plopper by the same rock and boom. I had her again, this time it didn't last long she came up shaking her head and out came my plopper. 0 for 2! Sunday we woke to clouds and hurry out to the water. I tried big momma again but nothing. We got on a good blade bite on wood on the flats. Fence rows were the best. If you had a single line of trees running across the cove and there were shad present you could catch them. They were hanging around the trees ambushing shad. The best water depts. were from 4 to 10 feet. I did catch a couple keepers in les than 2 feet of water on the plopper. Best bait was the blades slow rolled around trees in 5-10 feet. We fished till 11:30 on Sunday had 18 keepers with momma catching the big of 5.6. Here are some pics of the weekend. Fishinwrench, "tomato-red" SSSSSSSHHHHHHHHH. You need to keep those words out your mouth. Yankee, the jig color didn't matter much. I change colors a couple times after I broke off in a brush piles. I usually stick with some green pumpkin with different colors mixed in. Our best docks had 15-20 foot of water on the front side, 8-10 on the back corners. The smaller fish are hanging out in front of the docks chasing the shad. All our bigger fish were on the back corners or along the side. We were targeting the first few little pockets in the coves. There were a lot of tournament guys on Saturday a lot of them were running to the back of the coves but were had our best luck from the mouth to about half way back. We caught 50 fish Saturday with a 6.4 and 5.7 were out two biggest ones. Sunday was much slower. We caught probably 20 but had 2 in the 3-4 pound range and a bunch of 12-14 inchers. The boat traffic has died down enough that you can enjoy fishing up there. My stepson is ready to go back already. I am hoping we can make in back up after the Bash. We are camping Thursday thru Sunday at Cedar Ridge. I haven't fished Stockton much at all this year. The wife and I did fish for about 4 hours a few weekends ago when the tropical storm remains moved through. We caught the really good right on the banks on buzz baits and wart type crankbaits. I thinks that was due to having a few days of cloudy rainy weather. I am not sure if it is happening on Stockton but the lakes I have fished lately they have ben on a big jig. With the cooler weather I thinking I should be able to get up the river a bit and catch them flipping wood. I will hit some deeper main lake brush pile with the big jig also. I am excited I hope we can catch them. We were up on the lake this weekend fished Saturday and Sunday. Saturday they were biting good. We caught most of our fish on back corners and sides of docks fishing the shade. We were throwing 1/2 and 3/4 oz jigs with rage craws trailers. Saturday pitch that big jig in there if they didn't grab it on the fall hop once or twice and they were on it. We caught fish pretty much all day long. We got off the water around 4:00 to go get some food. Sunday we were on the water at 6:30 and had a bout a 30 minute flurry first thing and then they slowed way down for us. We caught some fish but they were mainly shorts we had 4 that would have been keepers on Sunday. We caught most of our fish Sunday on a 1/2 finesse jig. I did catch a couple 3 lbrs on the big jig. It was another great weekend on Lake O. That's a good bag for September. Thanks! I think you walleye guys catch more spots because of where your fishing and the lures you use. I am not saying that the spot population in not increasing on Stockton and I would be for the 12" limit on them. I just think the a spot and a LM are different fish and you have to target them differently most of the time. LOZ has a 12" limit on spots and its a great LM lake so maybe it would help.